Learning to teach is like climbing a mountain only to find there's an even higher mountain beyond it. I have a LOVE/HATE relationship with being a teaching artist. My love starts with my love of schools. I love being in schools. I love hallways, bulletin board displays, the sounds of chairs scarping the floors, pencil taping, kids scurrying to and from the bathroom, the hush and then the clamor as kids fall out of class to the yard. The bright colors, the hodge podgeness, the order and the chaos. I love kids. They're nuts. They're funny and surprising and amazing. I LOVE, LOVE, LOVE teachers. Seriously? Who works harder for less? Teachers, they keep getting pummeled by our ignorant society. Still they show up at 7:15am to cut paper, grade tests, meet parents before they go to work, sweep the rugs (it's not in the janitor's contract, or there is no janitor) fed the gecko, lizard, fish, tadpoles, feed the early kid, the homeless kid, do hair for the neglected girls, and wash the faces of the dirty children. And don't forget they actually teach tiny crazy people to read, write, add and subtract and more. AND they teach manners, caring, social, environmental and school yard justice. They sing, dance, drum and generally make fools of themselves so other people's video addicted, attention limited, entitled, lost, lazy, rude, sad, sweet, spoiled, precious children can become engaged active citizens. I love the crazy structure. Recess at 10:40 - 10:55. Whaaat?! Few other work environments run off the clock like that. I recently taught a group of teachers. When I said lunch at noon. There was a collective cry of Noooooo! That was too late. They wanted to eat at 11:35. We compromised with 11:45. bells ring at the oddest times Nothing begins or stops on the hour or half hour. Always 55, 35, 25. Why? BECAUSE schools have to operate with illogical precision, no minute wasted. There's sooo much more to love and yet and still I also hate schools, I hate teaching art, I'm over it! As I type that I'm already thinking about how I will rearrange my room, the systems I hope to put in place. 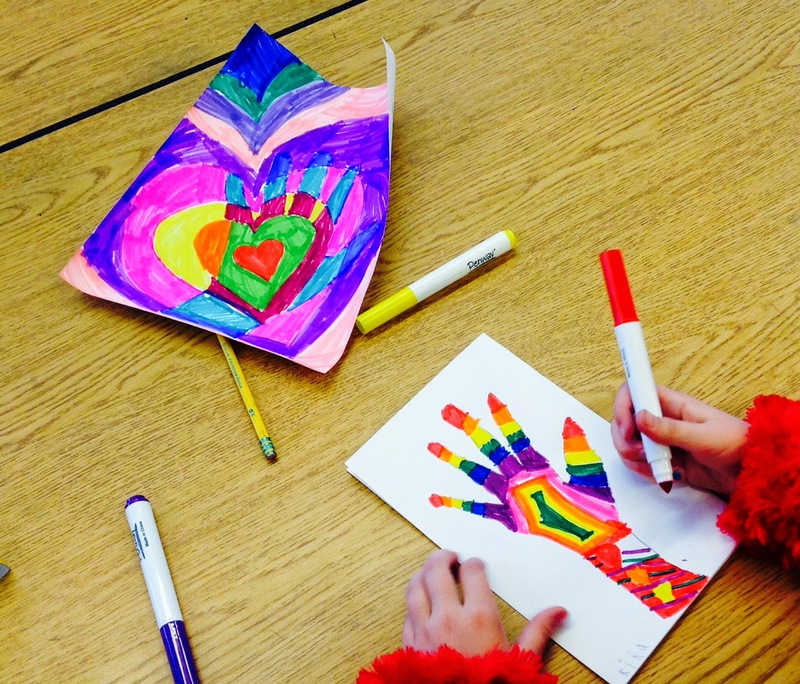 Art makes creative, happy, brave kids! ACOE's Inventing Our Future Summer Institute. More Teaching Artists needed! If you are out there in the "interwebs" reading this PLEASE fill out the Teaching Artist Questionnaire so we can continue to build a resource for each other. Read over past post to see what other Teaching Artists have to say about their art and teaching. get inspired, participate. The link is right u there on the right side...click it! Thanks! The Teaching Artist Questionnaire - IT'S HERE!